Aboudia is also a master of multi-layered imagery, referencing characters from his direct neighbourhood, local ‘Nouchi’ street culture and homage to more traditional forms of Vodou. Enigmatic details come in and out of focus, often only revealing themselves after several viewings. His expression of revolt and explosive, incendiary life in his everyday urban environment brings to mind artists from the great American tradition - Twombly perhaps in his casual-looking execution, and Dubuffet. 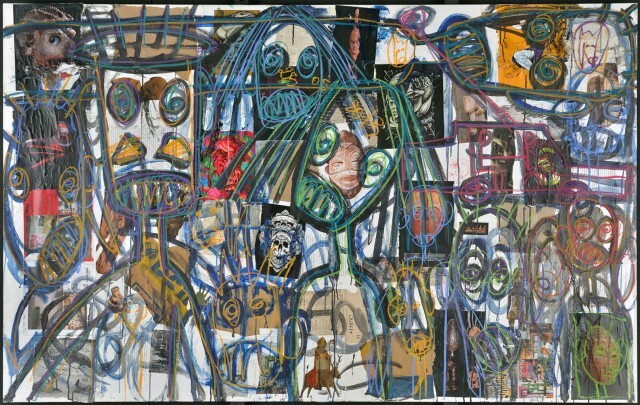 Aboudia's unrestrained use of violent figuration is a welcome reminder of the power of paint to suggest the chaos of life. 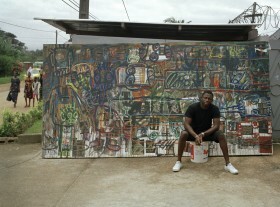 Aboudia's work has been exhibited at the Tel Aviv Museum of Art, Nevada Museum, Royal Academy Summer Show 2017 and Saatchi Gallery among others.